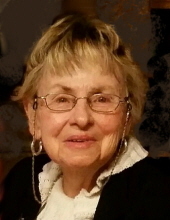 VIRGINIA “GINI” BECKER, 78, of Morrison, IL, died Friday, March 29, 2019 at Resthave Home in Morrison. A funeral mass will be held at 10:00 a.m. Wednesday, April 3, 2019 at St. Mary’s Catholic Church in Morrison, with Reverends Fr. Slawomir Zimodro, Fr. William Antillon, and Fr. John Stack as celebrants. A visitation will be from 5:00 – 7:00 p.m. Tuesday, April 2nd at the Morrison Chapel of the Bosma-Renkes Funeral Home, followed by a Rosary Service. Interment will be in the Grove Hill Cemetery in Morrison. A memorial has been established to the Victory Center in Clinton, IA. Gini was born August 10, 1940 in Fairfield, OH, to Albert and Bernadette (Ahlers) Schmid. She was educated in the Fairfield schools and was a graduate of Sauk Valley Community College in Dixon, IL. On August 17, 1963 she was united in marriage with Donald J. Becker in Fairborn, OH. Gini was a homemaker. She and Don were foster parents, caring for numerous children. She also volunteered in the Morrison Community Schools. She was a member of St. Mary’s Catholic Church and participated in the Altar and Rosary Societies. She was involved with prayer groups and volunteered for funeral luncheons at the church. Gini and her husband enjoyed traveling. She liked to play board games and was an avid reader. Survivors include her husband, Don; three daughters, Mrs. Barbie Tiesman of Washington, IL, Beth Stillings of Morrison, and Brigitte (Lewie) Renkes of Dixon; four sons, Alex (Michele) Becker of Morrison, Ben (Kim) Becker of Crystal Lake, IL, Brian Becker of Morrison, and Bart (Karla) Becker of Rockford, IL; fifteen grandchildren; three great grandchildren; one sister, Marti (Jim) Fischer of Poway, CA; one brother, Tom (DeeDee) Schmid of Beavercreek, OH. She was preceded in death by her parents; a son-in-law, Darrell Tiesman; four sisters, Ruth Andrews, Margaret Hjelmeland, Teresa Wendling, and Mary Wiggenhorn; one brother, Robert Schmid. To send flowers or a remembrance gift to the family of Virginia "Gini" Becker, please visit our Tribute Store. "Email Address" would like to share the life celebration of Virginia "Gini" Becker. Click on the "link" to go to share a favorite memory or leave a condolence message for the family.